Threat re-launched by England in the 24th minute. Kieran Trippier sent a horizontal cross from the right side, but the ball was cut by Robin Olsen. GOAL! England finally managed to lead in the 30th minute. 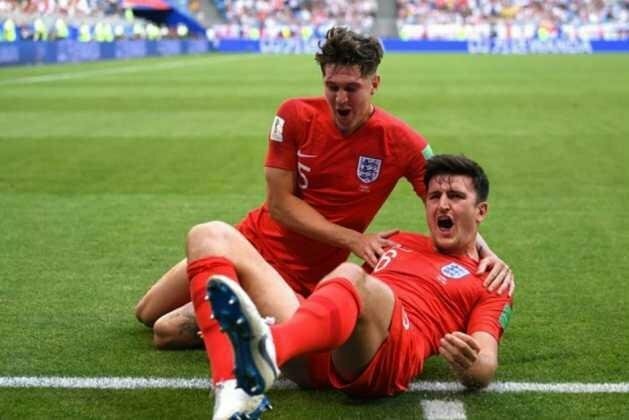 Harry Maguire brought the Three Lions ahead with a forwarded corner kick headed by Ashley Young. England winning 1-0. Sweden tried to attack to find an equalizing goal. But the long passes they flew into the British defense were still too easily broken by John Stones and his friends. The result of Sweden's game against England in the quarter-finals of the 2018 World Cup held at Samara Arena, Russia, Saturday (7/7). England win with a final score of 2-0. Both teams played in slow tempo in the early minutes. It seems they are very careful in launching an attack. Practically there is no shot that both teams released until the game runs 10 minutes. TWO world famous footballers make a unique bet ahead of the 2018 World Cup quarterfinal match that brings Sweden against England. Two big names from the country namely Zlatan Ibrahimovic and David Beckham also make public attention after making a fun bet on their social media Instagram. The bet starts from Ibrahimovic's uploader who posted a photo of both a duel and directed to Beckham. Ibrahimovic representing Sweden challenged Beckham who is a British citizen. Congratulations @miela! You received a personal award!